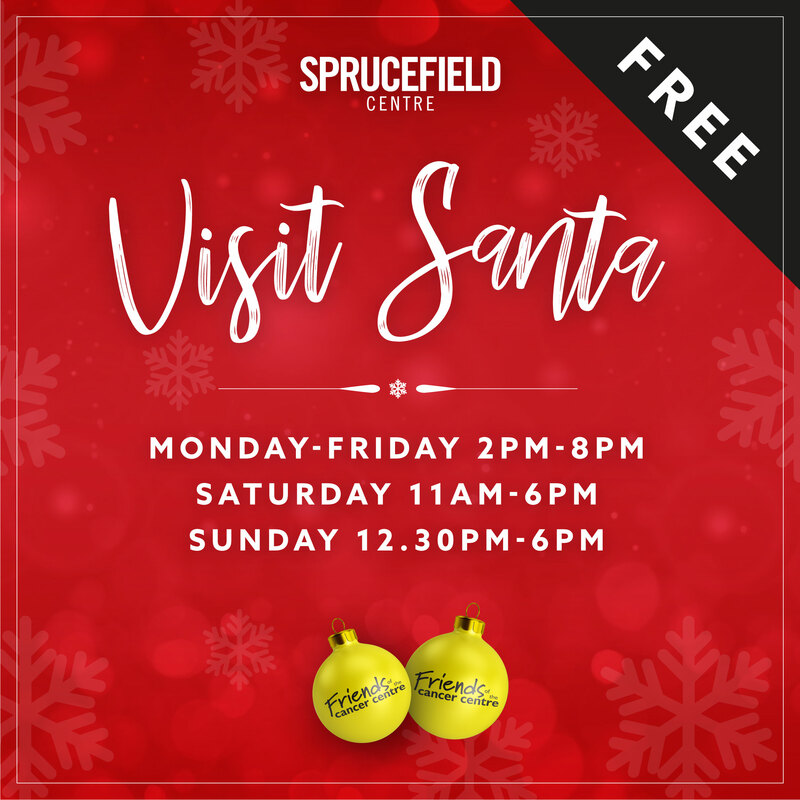 Visiting Santa in Sprucefield Shopping Centre is an extra special Christmas experience. Children can enjoy the magic of meeting Santa and his elves in our beautiful festive grotto, telling him all the reasons they have been good and reminding him what’s on top of their wish lists this year! 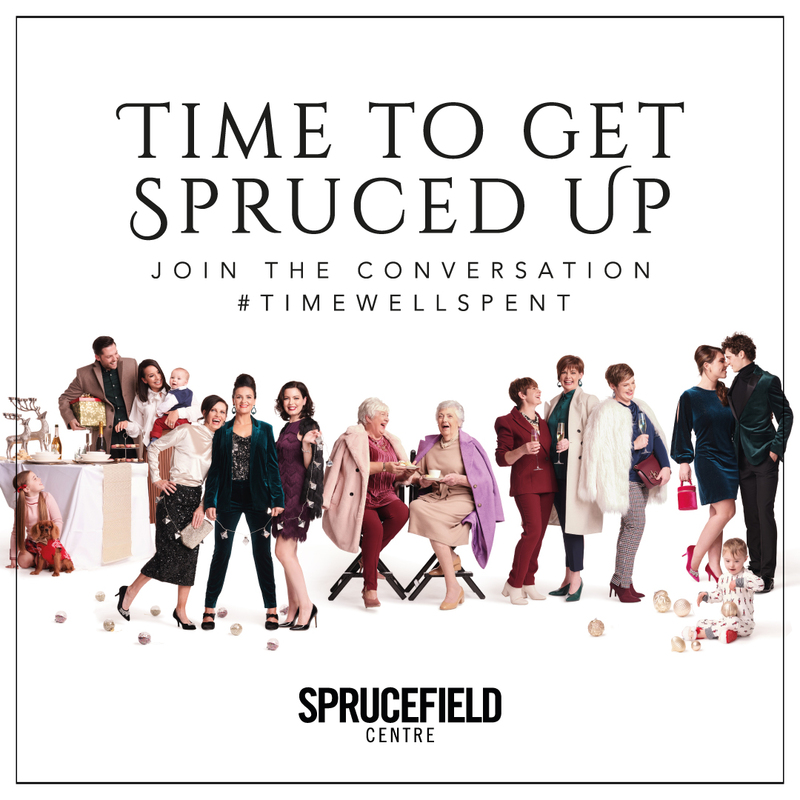 There is no charge for this at Sprucefield, however grown-ups can make a voluntary donation to help families in Northern Ireland affected by cancer, by contributing to our chosen charity; Friends of the Cancer Centre. Based at Belfast City Hospital, the charity funds life-saving and life-changing projects that make a real and lasting difference to the lives of thousands of local people affected by the disease. Any donation, big or small will help ‘Friends’ carry out this incredible work, supporting children and families in Northern Ireland when they need it most. 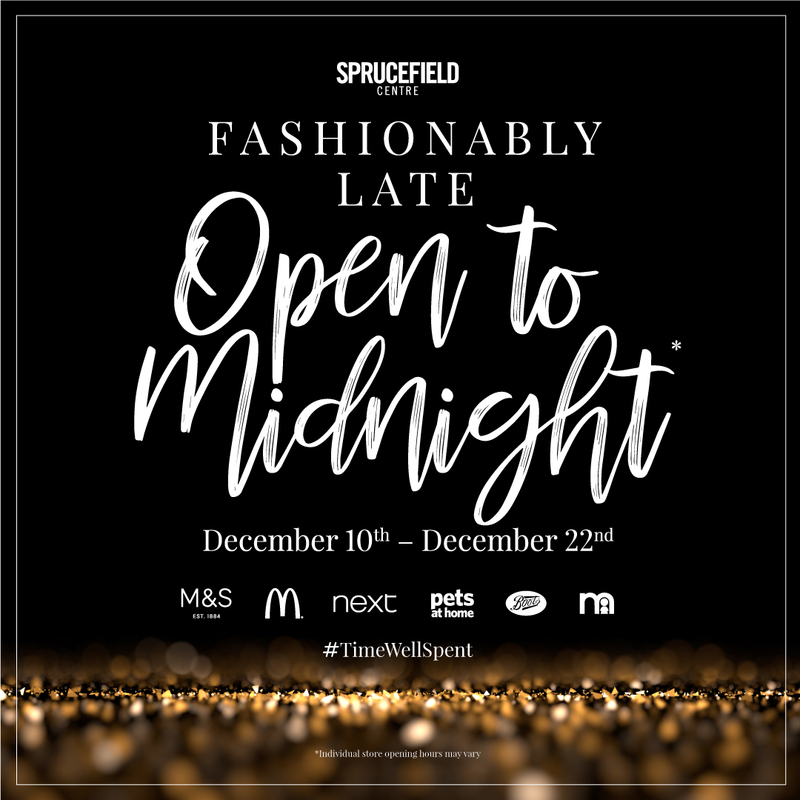 Santa will be in Sprucefield until Christmas Eve, after which he has some very important deliveries to make to the boys and girls who visit him! 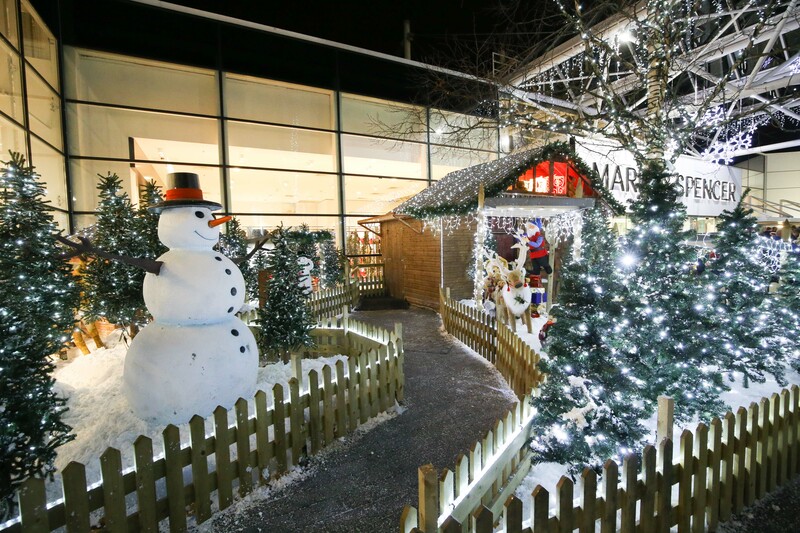 The grotto will be open Monday- Friday (2.00pm-8.00pm), Saturday (11am-6.00pm) and Sunday (12.30pm-6.00pm).